Sport-specific training is becoming the new hot thing in young children. The idea is that if little Johnny has already thrown 10000 curve balls by the time he’s 15, he’ll have it mastered and get signed to the big leagues before anyone else. Or if little Susie runs drills and clocks thousands of kilometers a year, by the time she gets to college soccer, she’ll be a shoe in for a professional or national team. We can play out this scenario for any of the sports. Dry land training for Hockey has taken a back seat to heading to the arena all year round to work on skating and wrist shots. You know what else is all the rage these days? Overuse injuries. You know who it’s happening to at an alarming rate these days? Kids. Something is wrong. Why would making our children better at a sport make them more prone to injury? It simply comes down to excess. In the western world we very frequently fall into the trap of, “if a little is good, more must be better!” and it works to our detriment. Kids are playing one sport all year round starting as early as 4 years of age. Most sports are unilateral in nature (you hold the stick on one side, wear your glove on one side, are a better shot with one foot, etc.) and that predisposes us to repeat the same movement over and over, whether performed correctly or not. No sport is perfect and they will all lead to their own neuromusculoskeletal limitations. SLAP tears and ulnar neuropathy in baseball. ACL tears and other knee injuries in soccer. Spondylolysis/listhesis in gymnasts. Tennis elbow. Little leaguers elbow. Turf toe. But it isn’t about trying to find the “right” sport – we need to keep that in mind. Kids used to play a variety of sports and as you excelled at one, you often would excel at others. Michael Jordan gets made fun of for his short stint in the MLB – but do we mean to forget that someone who trained hard enough to become the greatest basketball player ever (specialized training?) ALSO managed to make and play in Major League Baseball? Sure, he was no Bo Jackson, but he beat out a hell of a lot of folks training specifically for baseball! Gary Roberts, Joe Nieuwendyk and John Tavares were all Lacrosse players as well as hockey players while growing up. All have credited playing lacrosse with making them better at hockey. Why didn’t they just do more sport specific training? Because building a base of athleticism requires more than specialization. It requires intelligent recovery, nutrition, and strength & conditioning. It helps to think of our performance as building up a pyramid. The higher levels rely on a strong base below them. For most young athletes, recovery is simply sleeping and eating. They’re at an age where faulty biomechanics don’t provide instant feedback, they’re bodies will forgive them… for now. In learning proper biomechanics and how to approach and manage their myofascial limitations at an early point in their careers, they can prevent future overuse injuries due to poor biomechanics, starting now. Nutrition is something that is also often overlooked in the young athlete. While there is no reason to complicate eating good food, and eating enough to support athletic performance some rough guidelines would benefit a lot of athletes in making them feel faster, stronger and more mentally acute. Sounds like training outside of the arena/field/competition grounds might be worth looking into. Building up the 10 facets of fitness helps in aiding the sport specific athlete. Most sports require their own focus on particular facets of that fitness, but working to ensure enough balance to prevent injury is hugely important. We have no problem with sport specific training, we just believe it should be done for the “fine tuning” of your complete performance in sport. 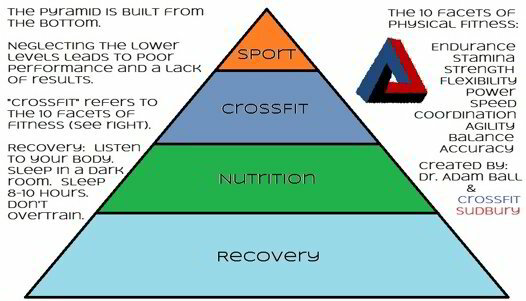 Let us help you build the pyramid the right way. 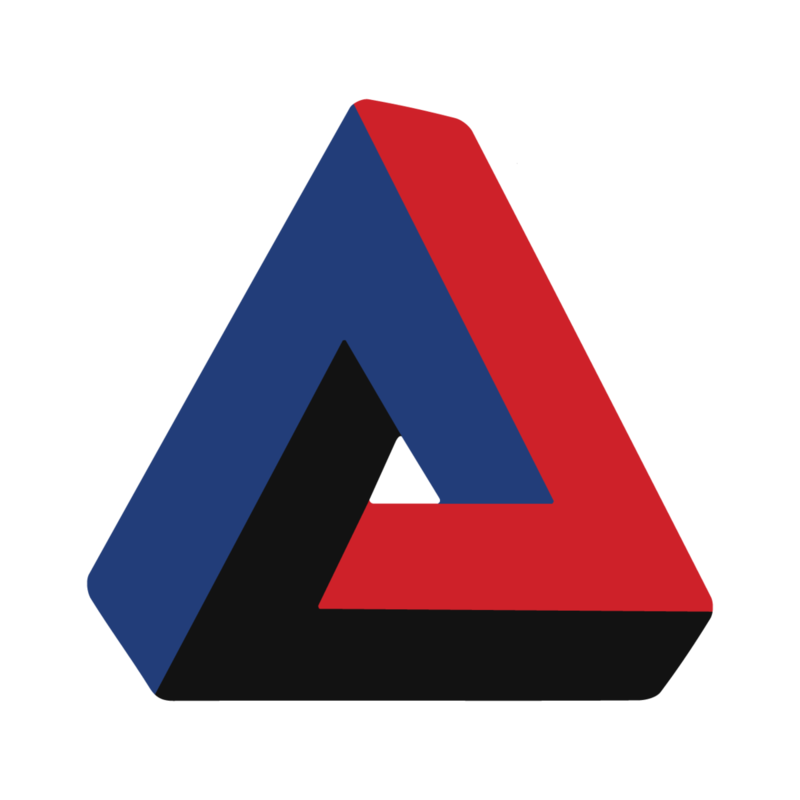 Click through to check out the gym!